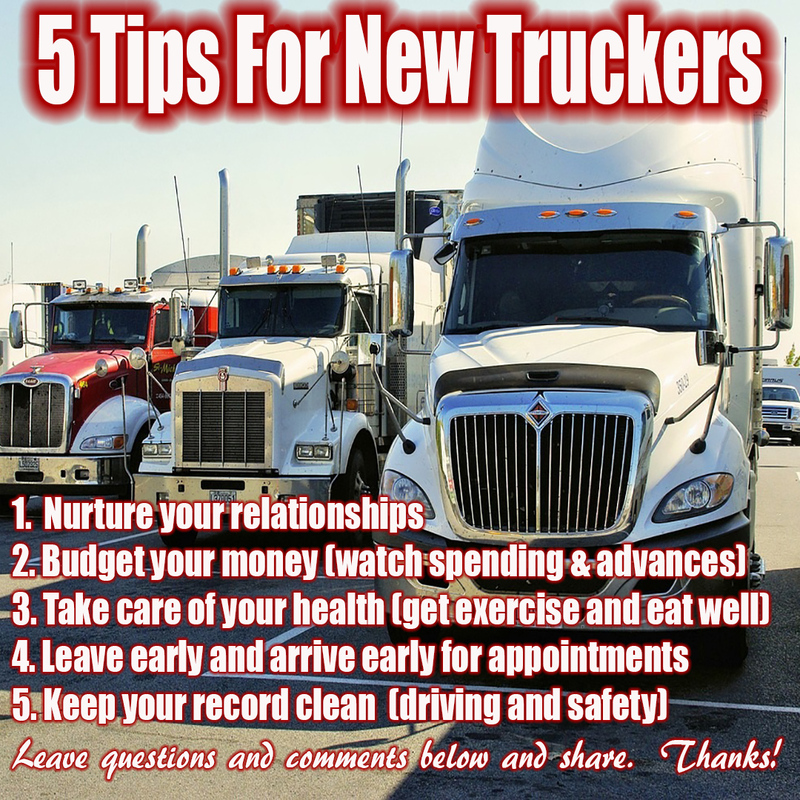 These trucking tips will serve new and seasoned drivers for the entire career. Of course, we get into more detailed and specific information and advice that will help you navigate the trucking lifestyle below. But first, 2 more tips a lot us drivers take for granted....Proactively take care of your health and nurture your relationships at home. should help shorten the learning curve and adapting time to the trucker lifestyle. It will help you be more productive, more safe and earn more money at an early stage in your trucking career. Confidence is important. It will come with time. Just focus on doing the job correctly and watch the nervousness go away. By the way, i was a little nervous at first too. It's normal to don't feel bad. Safety is important. Don't take things for granted. People will leave trailers unfit for the next guy to pull. So check your trailers that you pick up and pre-trip your truck. If you plan to go O/O learn all you can as company driver. Don't create expenses. Save your money. Should I go Owner Operator? Some drivers go crazy with the new freedom and money. Remember why your out here. Don't be so attached to material things or if you're single with punaah naah that you get off course and never reach your goal or heaven forbid, lose your family. Get the most out of trucking. Use it, don't let it use you. 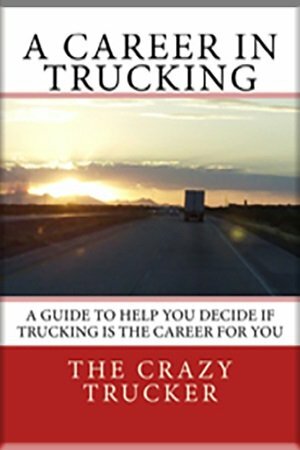 You have an unique opportunity as a trucker. You can blow it or make the most out of it. This is one of my older videos but the message is still so true today. We share our tips, insights, and hard learned lessons from experience from life as a trucker. It is broken down into several categories so that you can select specific areas according to what is most important to you at the time of your research. 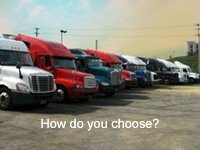 Share your tips, techniques or good habits that will enable a driver to take his or her trucking skills to the next level. With our experience over the road we could save the new truckers a lot of pain and suffering by giving them insight from the mistakes we already made or what we learned from observation. Why keep it to yourself!?! Share that wisdom! Add a picture if you have one that goes along with your tips. where to park my truck? My neighborhood won't allow me to park my truck outside my house. Can i park it at a truck stop while on my days off. Dont mix your personal life with your driving job. Keep them separate. I had a job interview at a trucking company today. You can blow by Louisiana weigh scales. They never chase. I was impressed to receive an email from a Don a driver from Canada that specifically asked about tips for new drivers that would save the company money and make him an overall better driver. Tips that save the company or driver time or money without compromising safety is good for the company and driver. Here's why saving the company money is also good for the driver too. If the company saves money it more profitable which means it's a more solid company. A more solid company means they are like to stay in business. A more profitable company means they might one day get a clue and pass some of that profit down to the drivers as a raise or bonus. On the other hand if a company goes out of business because of its employees not being reliable, responsible or not caring about how they take care of the the equipment or customers that company may never have time to offer the driver any more pay or benefits and it may even end up going under which means the drivers and stock holder lose out. Most people don't think about all of that but it's a good thing that you do! It will make you a better steward of your job. 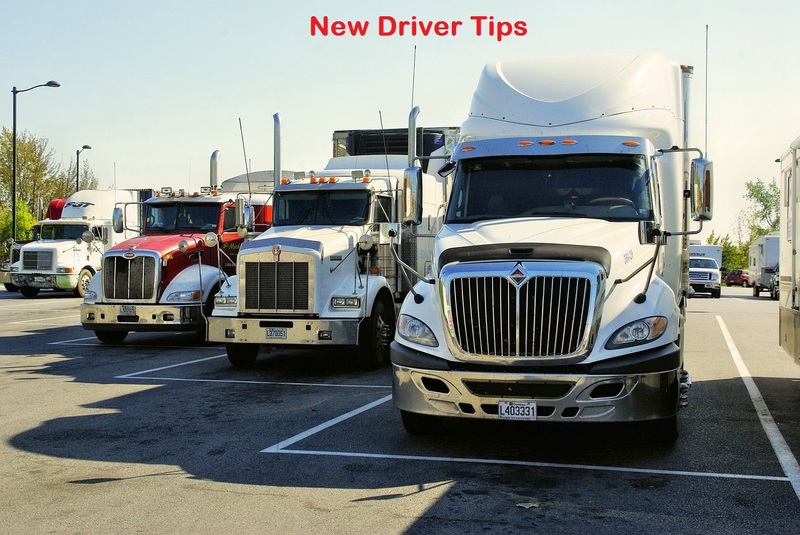 In any event, these newbie driver tips will help prepare a driver for being an owner operator also so might as well get in good habit forming mode now. Here are some Tips for new drivers to help save company money and be more profitable - Accelerate and Decelerate smoothly at low RPM range. Don't reeve the engine. - When unhooking trailer don't pull on the black air hoses, grip the metal glad handle only. - Do your own simple repair jobs like replacing light bulbs that are in easy reach. Also have duct tape, screw driver and pliers or adjustable wrench with you in the truck. The other day I bought turn signal light bulbs for the truck instead of going into the shop where it would have been half an hour minimum charge. Plus it would have burned up 2 hours of my time putting me way late delivery my next stop. The company will often reimburse for such items if you turn in the receipt. - Also pay close attention to your surroundings. If you don't think that you are somewhere you supposed to be stop and ask or call people again to get directions. Sometimes a person will say left when they should have said right or they may even send you down a street that big trucks are not allowed on. Just got through talking to Keith and here are some good tips that he threw in. -Go up and down hills in the green range of the RPMs. In other words don't overwork the engine. -Don't idle when you don't have to. (Fueling, etc) -Use the cruise control as much as possible under normal driving conditions. Now Brenda doesn't mean whatever, whatever! LOL. Not literally speaking. If they ask you to things that jeopardize the safety of you or others don't do it. But sometimes there are things that we simply don't want to do or places we don't want to go. <br>GO.<br> They don't know you, and you are expendable, go.